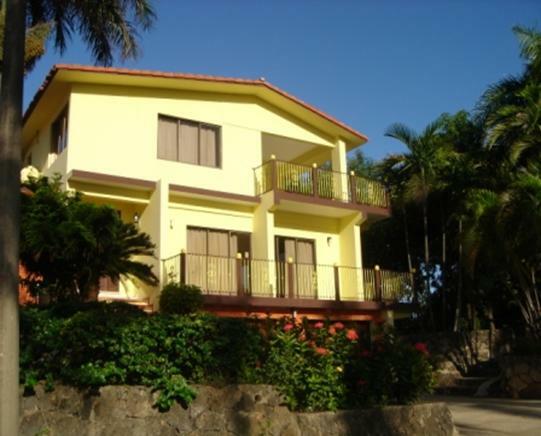 This lovely Caribbean Villa is located in Costambar on a Bay and Beach area. On the Caribbean Island of Hispañola in the middle of the Caribbean called Dominican Republic. This location is an absolute Tropical Paradise with year round temperatures averaging 80°F. The entire country appearing to be a huge Botanical Garden. We call it the lost Garden of Eden. The countryside goes from romantic Caribbean Beaches to awesome 10,000 foot mountains in the interior. So you can use your own imagination as to the magnificent views to behold throughout this Tropical Paradise.